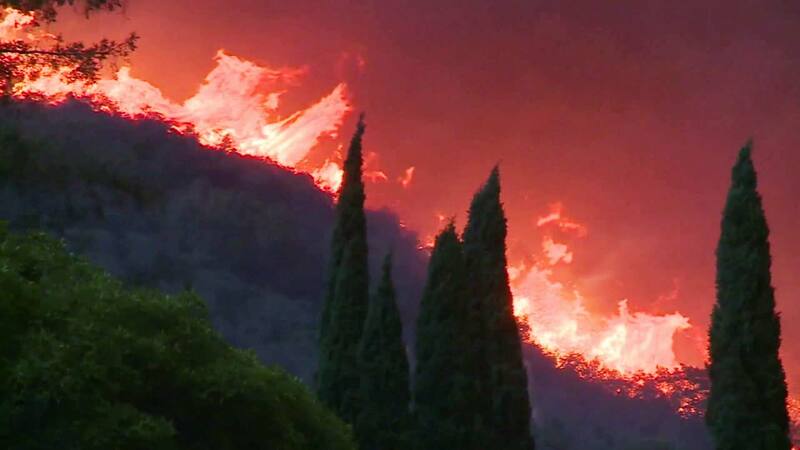 VENTURA, Calif. (KABC) -- Two state lawmakers have announced plans to introduce three pieces of legislation in response to the largest recorded wildfire in California's history. The new bills, presented by state Sen. Hannah-Beth Jackson (D-Santa Barbara) and Assemblywoman Monique Limon (D-Santa Barbara), call for an emergency alert system, improvement of emergency communications to non-English-speaking communities, and a reduction in wildfire risk to new homes. Senate Bill 821 would give counties the option of automatically enrolling residents in a location-based notification system, according to a Thursday statement issued by Jackson. Individual residents would be able to choose to opt out of the alerts. The statement noted that registration is not mandatory for the federal Wireless Emergency Alert system, which "lacks the ability to precisely target specific neighborhoods." "When the Thomas Fire broke out, less than 30 percent of residents had signed up to receive county cellphone and email alerts," the news release said. "In the Northern California wildfires, which caused the death of 44 people, notification of residents has also been scrutinized as inadequate." The Thomas Fire, which has burned 281,893 acres since it erupted Dec. 4 in Ventura County, was 92 percent contained on Thursday. One firefighter was killed in the fire and 1,066 structures were destroyed. Limon intends to introduce a bill that would address "a lack of adequate communications to Spanish-speakers during the Thomas Fire." That legislation would require communications from the Office of Emergency Services - such as broadcasts and news conferences -- to also be made in the second-most-spoken language in a county. "Accurate, updated information is absolutely vital in an emergency," Limon said. "This can be even more challenging for the communities where a significant percentage of the population speaks another language." According to Limon and Jackson, the third bill is intended to improve Cal Fire's ability to "weigh in" on local development plans in order to lessen the threat that brush fires pose to new homes.